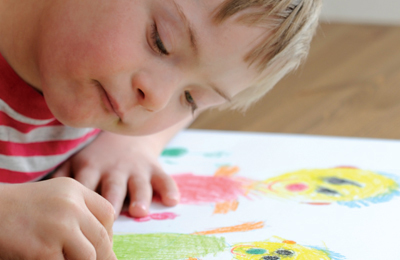 A recent study shows a rise among children with disabilities over the past 10 years. The same study also revealed that disabilities relating to physical health conditions have decreased, while disabilities relating to neurodevelopment and mental health have increased dramatically. In addition, the most significant increase has occurred among children from higher-income families. Lead author Amy J. Houtrow, MD, PhD, MPH, chief, Division of Pediatric Rehabilitation Medicine at Children's Hospital of Pittsburgh of University of Pittsburgh Medical Center and associate professor of physical medicine and rehabilitation and pediatrics at University of Pittsburgh School of Medicine admits that previous studies have already demonstrated that the prevalence of childhood disability is on the rise. "Nearly 6 million kids had a disability in 2009-2010 -- almost 1 million more than in 2001-2002" says Houtrow. Results were derived from the analysis of data gathered from 102,468 parents of children ages 0-17 years of age that participated in the National Health Interview Survey conducted by the Centers for Disease Control and Prevention in 2001-2002 and survey data from 2009-2010. Their research uncovered that “the prevalence of disability increased by 16.3% from 2001-2002 to 2009-2010”. In particular, the neurodevelopmental and mental health-related disabilities increased while those disabilities resulting from physical conditions had decreased over the decade. Remarkably, the increase was most significant among children less than 6 years of age, as their rate of neurodevelopmental disabilities nearly doubled over the decade. Furthermore, results demonstrated higher rates of disabilities among children living in poverty over the entire period of study without any real increase; however the highest rate of growth was identified among children living in higher income households (i.e. household incomes at or above 300% of the federal poverty level or $66,000 a year for a family of four). Unfortunately, Dr. Houtrow states: "the survey did not break out autism, but we suspect that some of the increase in neurodevelopmental disabilities is due to the rising incidence or recognition of autism spectrum disorders". Evidently this study has put a broader perspective on an area in desperate need of research. The study leaves the several unanswered questions. Why are rates of disabilities rising among children? What could these demographics really mean? Could it be that children living in poverty are simply being undiagnosed? Could it be that affluent families are more persistent in obtaining a diagnosis? Could there be other reasons or factors yet to be revealed?